“We’re pleased to have some of the final pieces of the puzzle coming together for consumers to make their decisions,” said Sony Computer Entertainment America president and CEO Jack Tretton in a telephone interview with USA TODAY after the announcement. Sony says 15 disc-based titles will be available between launch and the end of the year. Including digital downloads, Sony says 33 games will be ready by the end of the year. More info and launch titles. The two current games available for free with Xbox Live Gold accounts are Dead Rising 2 and Dead Rising 2: Case Zero. You can download your free games from your console or directly from Xbox.com. Links are provided below. More info on free games. Answers on Microsoft’s new console, straight from the horse’s mouth! As the Xbox One gets closer to its November launch, many questions remain about how the console works and what it can do. So we reached out to Microsoft and asked them if they could definitively clarify some of these things. 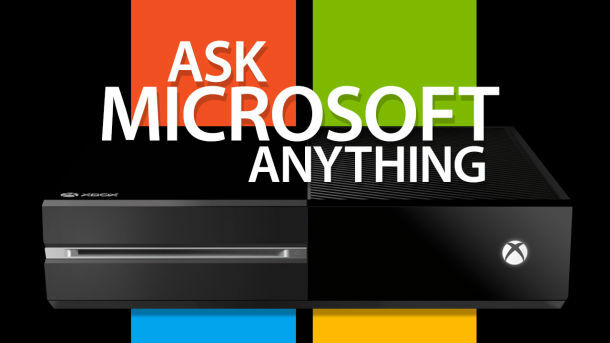 They obliged, and so we’ll be bringing you a handful of Ask Microsoft Anything answers each Monday at 2pm PDT/5pm EDT. Bookmark this page, as we’ll update this article so that all the answers live in one easy-to-find place. Oh, and if you’ve got a question for Microsoft about the Xbox One, send it to our Podcast Unlocked team at unlocked@ign.com and we’ll make sure Microsoft sees it! Source and link to updated answers to questions. In recent weeks, Microsoft has briefly discussed a coming overhaul of the Xbox Live reputation system on the Xbox One. The aim, the company says, is to segregate the worst griefers and antisocial players from those who know how not to be jerks. It’s a great concept, but the devil is always in the details when you’re trying to create a largely automated system to pick out bad apples ruining an online community. With that in mind, we talked to Micheal Dunn, senior program manager of Microsoft SmartMatch, to get the details on just how the Xbox One will determine who is worthy of a bad reputation. As the name implies, the “avoid me” group is the one that will be set aside from the rest of the playing population for random matchmaking (privately arranged matches are a different matter, of course). Someone in the “good player” group could end up with someone who “needs work,” but only if there aren’t any closer reputation matches available at the time. Players and developers will be able to play with the balance between forced reputational compatibility and matchmaking flexibility, offering different modes for players who care more or less about having a precise reputation match. But Dunn said the hard line between “avoid me” and the rest of the population can’t be broken as far as random matchmaking is concerned. The specific percentage sizes for each reputation region are not set in stone, but Dunn said that the “good player” region will definitely be the largest. He also noted that your reputation isn’t an absolute number, but more of a percentile ranking based on a “look across the whole population.” In other words, no matter how many complaints you get, you’re not truly worth avoiding as long as a certain percentage of the population is worth avoiding even more than you are. New players will generally “start with a score that’s in the 75 range, which is definitely a good player,” Dunn said. “In general, we assume until you’ve proven otherwise that you’re a good player.” But there are situations where a new account could start with a lower score if the enforcement team notices some questionable patterns. If you ruin your reputation and then scrap your Xbox Live account and try to start over on the same device, for instance, “we can start noticing those kinds of things, and those are the kind of people who are going to start with a low number,” Dunn said. Not all feedback is created equal, either. Players who the system identifies as having “better judgment” will have their complaints given more weight over time, Dunn said. If a certain player consistently complains only about people who eventually end up in the “avoid me” bucket, for instance, the algorithm can be relatively sure that person’s complaints have some merit. On the flip side, players who throw around tons of complaints that are rarely corroborated by others might see their complaints counting for less. One of the key parts of Microsoft’s reputation overhaul is letting people know when and why their reputation is being wrecked. “On the 360, we never really told you about your stars changing or the rep stuff, so no one knew what it meant, so why do I care, right?” Dunn said. On the Xbox One, Microsoft will send players messages when their reputation starts dropping, along with “a general category [of complaint] so the person can better understand what people are upset about,” Dunn said. The hope is that players can notice and rectify their behavior before they reach the dreaded “avoid me” status. If you end up in the “avoid me” bucket after the warnings, Dunn stressed that you can still play, but only with other people identified with the same label. You can eventually work your way back into the general population, but only by playing through a lot of matches without drawing a legitimate complaint. “They can’t just disappear from Live for a few months and have their rep be fixed; they have to prove that they can play and be trusted with other players,” Dunn said. The Microsoft enforcement team can also override an “avoid me” designation if they determine it isn’t valid. Say your jerk of a cousin tanked your reputation while using your Gamertag during a month-long house sitting stint, for instance. An Xbox enforcer can reset your reputation if you convince him that you weren’t responsible for the complaints. “We hope that won’t happen that often, but of course it will happen sometimes,” Dunn said. The goal of the overhauled reputation system isn’t just to create some sort of stratified social hierarchy inside Xbox Live, but to improve the quality of matchmaking. Dunn said he hopes that as the quality of the system’s matchmaking gets better, there will be fewer reputation-ruining complaints in the first place.